The EC38CD-B 18 x 32" Utility Cart from Luxor features two flat shelves, a lockable drawer, and a lockable lower cabinet. The lockable drawer and cabinet are made of metal and have two separate sets of keys for added security. The drawer and cabinet can also be removed to create a second and third shelf at the bottom of the cart. The frame and shelves are made of an injection molded thermoplastic resin that won't stain, scratch, dent, or rust. 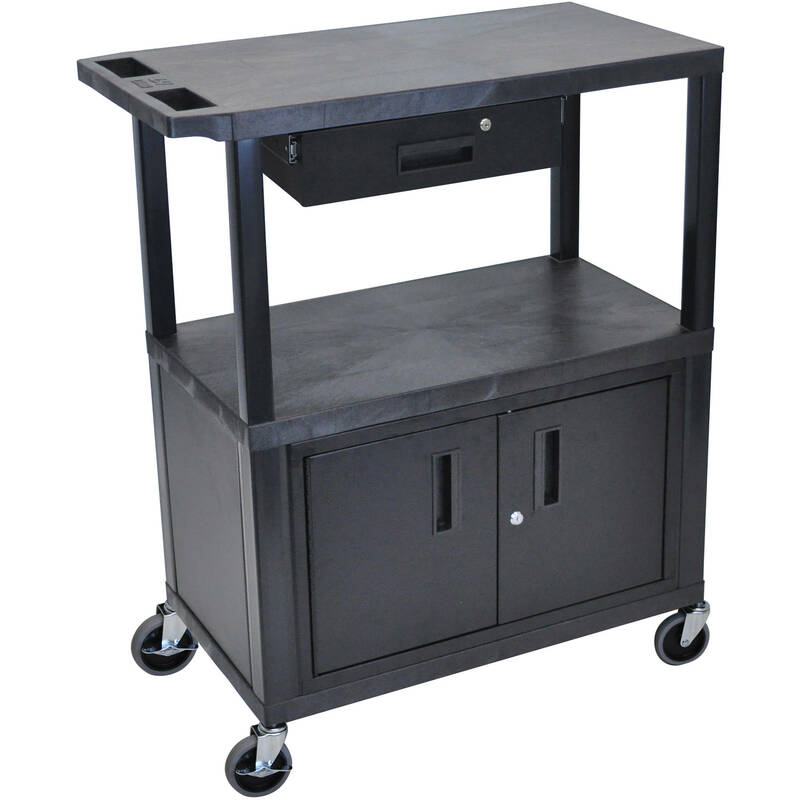 The cart has a 300 lb evenly distributed weight capacity. Note: the cart does not come assembled. Box Dimensions (LxWxH) 90.0 x 58.0 x 20.0"